Republican congressional candidate Frank Howard wasted no time last night capitalizing on Red Maryland’s deceitful clickbait hit piece of an article in which they attacked Howard’s well-funded opponent, Amie Hoeber, by manufacturing a lie. Frank, come on. Really? You are much, much better than this. Sharing a Red Maryland article that overtly mischaracterizes one of your opponents – ostensibly for political gain? I still hold Frank Howard to the highest of standards. After all, I did work with Mr. Howard at Change Montgomery County and witnessed the caliber of his character day in and day out. This isn’t the Frank Howard I know – or knew. I sure hope he hasn’t become the politician that he often claims he never wants to be. Since Howard is open to interpreting Hoeber’s comments about Dan Bongino to mean whatever he wants them to mean (for political advantage, of course), I’ll leave the above conversation for you to interpret. Since only certain CD-6 candidate’s words are apparently open to whatever interpretation that yields the most political capital, as Howard highlighted in his long Facebook post about Hoeber, how do you interpret Howard’s comments? “Be careful, young man.” Be careful of what? Sort of condescending, no? Young man? Am I in school, Frank? This isn’t the Frank Howard I know. I know times must be tough with the Howard campaign. Money isn’t coming in and it’s been a difficult and uphill challenge since the beginning. “Be careful,” said Howard. 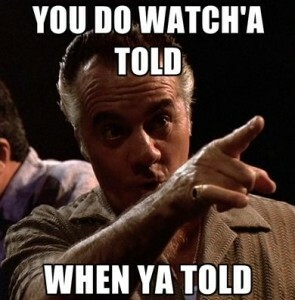 Right, Frank, I’ll be careful. I’ll be sure to ready myself and prepare to go to the mattresses. Howard claimed that my “bias is showing.” He’s right; my bias is showing: my bias for the truth. My bias is showing for the facts. 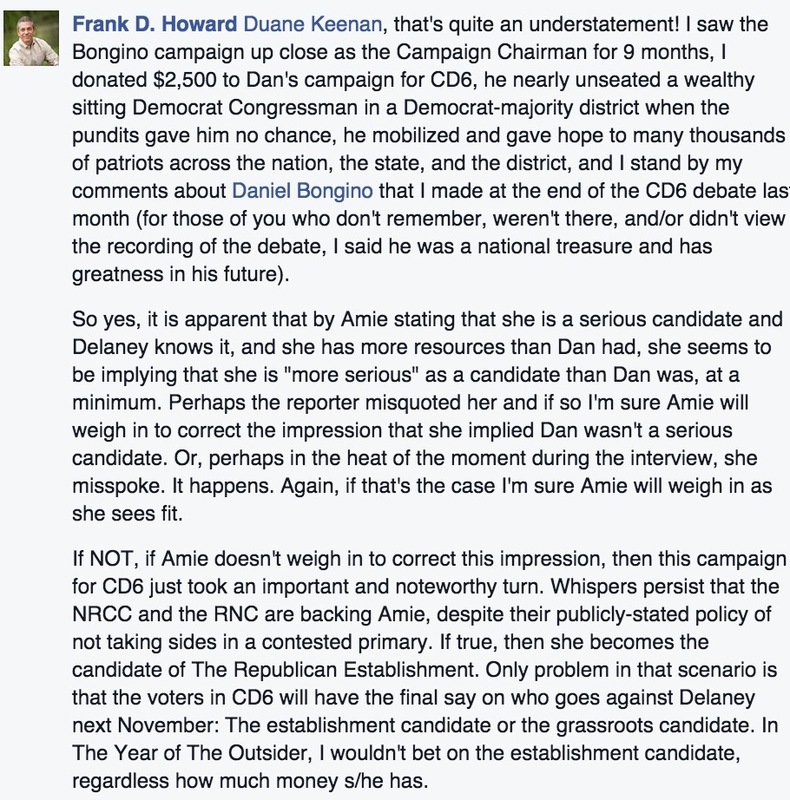 Frank Howard knows full well that Amie Hoeber wasn’t disparaging Dan Bongino’s previous CD-6 run. But he ran with Red Maryland’s story nonetheless. Why? 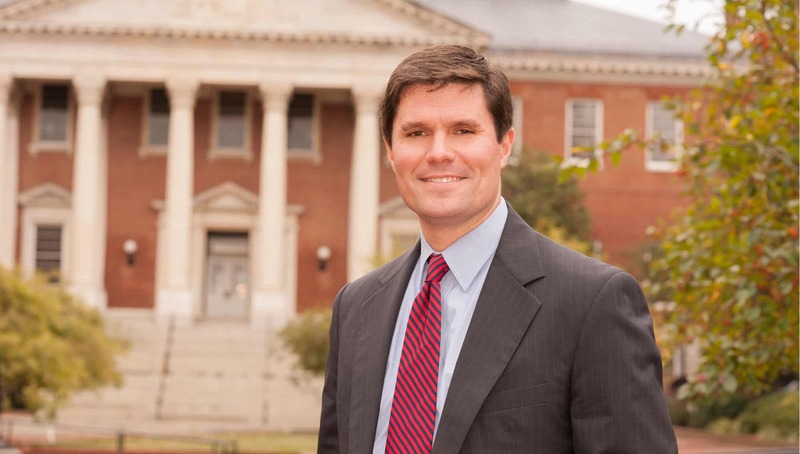 Did he hope to gain something by posting Red Maryland’s disgustingly duplictious hack job on Hoeber? Howard should understand that he was in serious contention for my vote. He’s claiming to be the liberty candidate of the CD-6 race, and I support liberty candidates. But now what? What am I to think? Kim and I have had Frank Howard in our home. We’ve broke bread with him. We’ve dined together and shared a lot of great memories over the last year. But that all changed this past summer. I’m not ready to tell that story because I’m still saddened by the betrayal. Fool me once, shame on you. Fool me twice, shame on me. I’ve been very fair to Howard and his campaign since he launched his bid – all things considering. But then again, it’s just words we are talking about. Anything is up for interpretation. 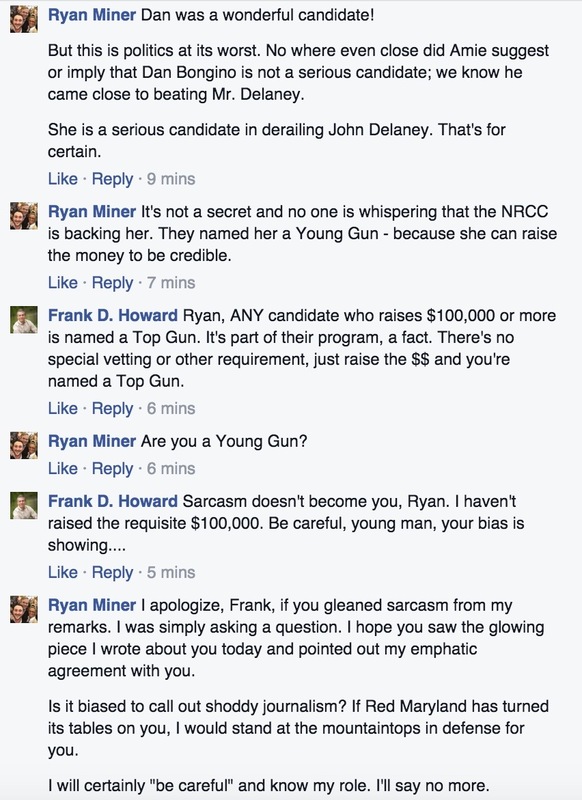 What is going on with Frank Howard’s FEC report? 2 Comments on "“Be careful, young man”"
So either you meet the benchmarks or you do not. I respect all veterans. Because of their service, civilians can lead a safer life. Of course, not all veterans are the same. Some lead by example. Others feel entitled. Look at Dr. Mark Plaster (a Navy veteran) in CD-3. Instead of complaining about other candidates, he went out there and worked hard. Hard enough that he was just added to the NRCC Young Guns Program on February 18! Congratulations to him. The country needs more leaders who lead by example like Dr. Plaster. The country has enough people who feel entitled. We do not need anymore!